"Moon shot" projects like driverless cars and Google Glass (pictured) are received much coverage, but investors are worried they're hurting the bottom line. GOOGLE’S THIRD-QUARTER EARNINGS slipped as the internet search leader hired nearly 3,000 more employees while pouring more money into its zest for innovation and quest for new markets. The results announced Thursday fell below analyst estimates, causing Google’s stock to drop by $12.92, or 2.4%, to $524 in extended trading. The shares had already declined by 4% so far this year. The report helps explain why Wall Street has had mixed emotions about Google for years. Powered by its dominant search engine, Google’s digital ad network consistently delivers the kind of steady financial growth that endears investors. But Google could be making even more money if not for CEO Larry Page’s belief that some short-term gains should be sacrificed so that the company can invest in projects and other research that could take years to pay off. Page refers to these sometimes risky initiatives as “moonshots.” He defends them by pointing out that Google might not had ever developed its market-leading Android mobile software and Chrome web browser if the company hadn’t gone out on a limb. 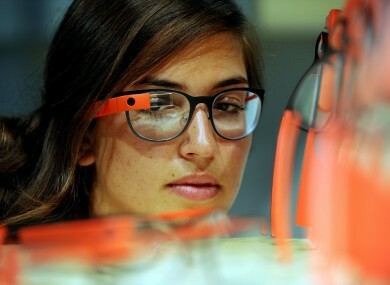 Some of the other innovations that Google is still trying to fine tune include internet-connected eyewear, internet-beaming balloons, a fleet of drones, driverless cars and robots. To investors’ frustration, exploring new technological frontiers tends to be expensive. That’s one reason that Google’s operating expenses surged 30% from a year earlier to $5 billion in the third quarter, after subtracting the costs for employee stock compensation. The pace of rising expenses outstripped the 20% gain in Google’s third-quarter revenue to $16.5 billion. A big chunk of the higher expenses went toward bringing in more employees, mostly engineers, to supplement Google’s already large brain trust. The 3,000 workers added in the third quarter nearly doubled from the roughly 1,600 employees hired at the same time last year. The hiring spree stemmed from an especially attractive class of college graduates this summer, according to Patrick Pichette, Google’s chief financial officer. The trends in Google’s search and advertising business also provided investors with reasons for hope and potential worry. Ad prices have been sagging because marketers haven’t been willing to pay as much to pitch to consumers who are squinting at the smaller screens on the smartphones that are drawing eyeballs away from desktop and laptop computers. Google has been able to offset the lower ad prices by inducing people to click on marketing links more frequently. The volume of activity is important because Google bills advertisers when people click on a promotional link. Google’s paid clicks during the third quarter climbed 17% from last year, slackening from a 25% year-over-year increase in the previous quarter. The deceleration in clicking gains raised some concerns that Google’s revenue growth may start to weaken in the months ahead. Google earned $2.81 billion, or $4.09 per share, for the three months ending in September. That compared to income of $2.97 billion, or $4.38 per share, at the same time last year. If not certain items, Google said it would have earned $6.35 per share. That figure missed the analyst target of $6.46 per share among analysts surveyed by Zacks Investment Research. After subtracting Google’s ad commissions, revenue stood at $13.2 billion, in line with analyst projections. Email “Long-term gambles causes Google's earnings to fall”. Feedback on “Long-term gambles causes Google's earnings to fall”.